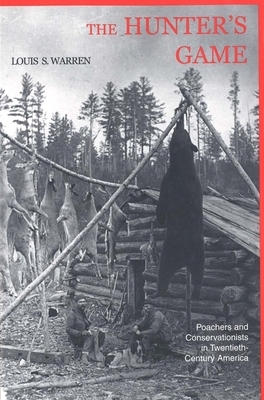 This provocative book takes a new look at the angry struggles between American conservationists and local hunters since the rise of wildlife conservation at the end of the 1800s. From Italian immigrants in Pennsylvania, to rural settlers and Indians in New Mexico, to Blackfeet in Montana, local hunters' traditions of using wildlife have clashed with conservationist ideas of "proper" hunting for over a century. Louis Warren contends that these conflicts arose from deep social divisions and that the bitter history of conservation offers a new narrative for the history of the American West. At the heart of western—and American—history, Warren argues, is the transformation of many local resources, like wildlife, into "public goods," or "national commons." The Hunter's Game reveals that early wildlife conservation was driven not by heroic idealism, but by the interests of recreational hunters and the tourist industry. As American wildlife populations declined at the end of the nineteenth century, elite, urban sportsmen began to lobby for game laws that would restrict the customary hunting practices of immigrants, Indians, and other local hunters. Not surprisingly, poor subsistence and market hunters resisted, sometimes violently. Dramatic shifts in deer and elk populations—the result of complex environmental dynamics—further complicated the struggles. Warren concludes that the history of wildlife conservation sheds much light on the tensions between local and national priorities that pervade twentieth-century American culture.